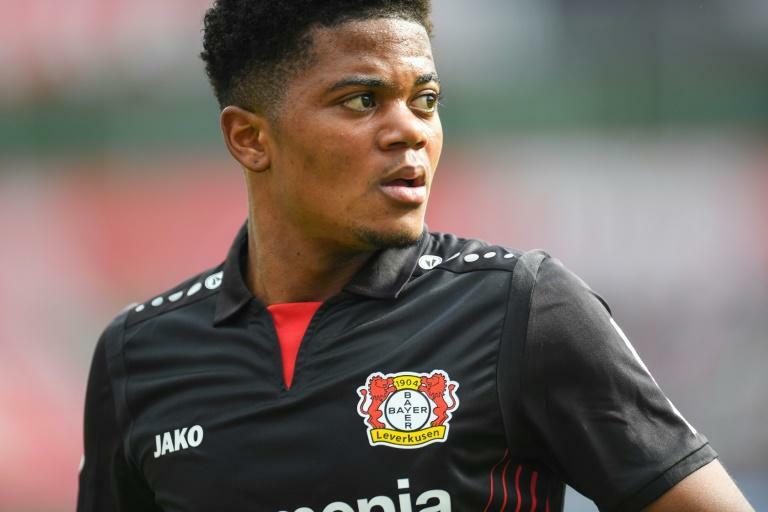 Jamaica wunderkind Leon Bailey has extended his Bayer Leverkusen contract until 2023, it was announced Sunday, as the German club fought off reported interest from Chelea, Manchester United, Liverpool and Roma. Roma had reportedly made a bid of 40 million euros ($45.8 million) for Bailey, who counts athletics legend and compatriot Usain Bolt as one of his friends. "I've always stressed how comfortable I feel here in Leverkusen, we can achieve a lot with this young team," Bailey said in a statement. "This contract renewal is also a sign of how the club values me." The fleet-footed left winger, who has just turned 21, enjoyed a breakthrough season in 2017-2018, netting some incredible shots in his tally of nine goals and providing six assists after some outrageous passes in his 30 Bundesliga appearances. Leverkusen have locked down his services for another five years after Manchester United also reportedly wanted to sign him while both Liverpool and Chelsea have been monitoring his progress. A cold meant Bailey sat out Leverkusen's 1-0 win at fifth tier side Pforzheim on Saturday in the first round of the German Cup, which came at a price. Defensive midfielder Julian Baumgartlinger is expected to miss two months of the season after the Austrian international tore the medial ligament in his left knee. Leverkusen, who finished fifth in the Bundesliga last season to qualify for the Europa League, play their first game of the new season at Borussia Moenchengladbach on Saturday.